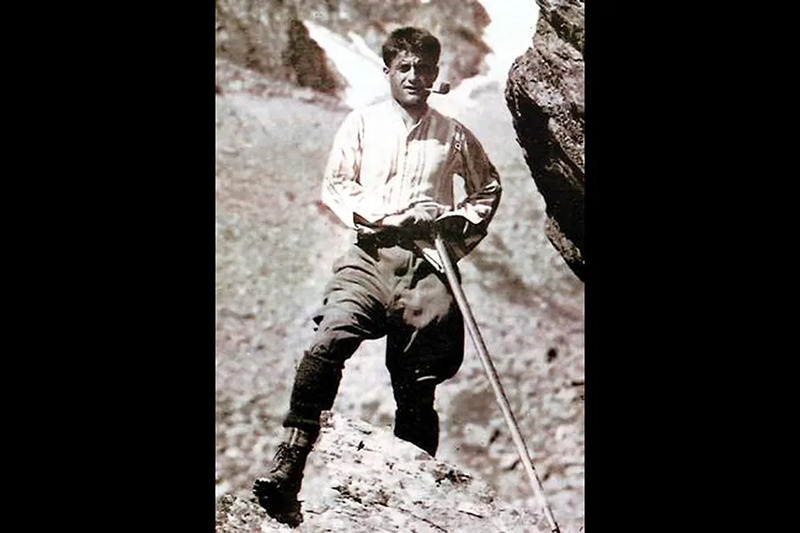 July 4 marks the feast day of Pier Giorgio Frassati, a well-known young blessed of modern times. Born on April 6, 1901 in Turin to a wealthy agnostic family, he early in life found himself drawn to the faith and serving Christ in the poor. He was particularly known for his prayer and his great love of the outdoors. Pier Giorgio’s friends described him as “an explosion of joy.” His sister Luciana in her biography of her brother says that “He represented the finest in Christian youth: pure, happy, enthusiastic about everything that is good and beautiful.” He loved sharing his faith and praying with his many friends. At a young age after starting at a Jesuit school, Pier Giorgio received permission to receive communion daily, which was rare at the time. He also joined the Marian Sodality and Apostleship of Prayer. Often, he would spend hours of the night in an adoration chapel. He was also known as an avid sportsman and loved the outdoors, particularly mountain climbing. He cultivated a deep appreciation for theater, opera, museums, and poetry, loving to quote Dante. He was also politically active, both against the communist as well as fascist causes in early 20th-century Italy. He stood up to police harassing a Church-sponsored protest in Rome once, grabbing a fallen banner and using it to rally his fellow students. His love for balancing contemplation and action naturally led him to a love for the Dominican order, particularly after reading the sermons of Girolamo Savonarola and writings of St. Catherine of Siena. In 1922, he joined the Lay Dominicans, taking the name Girolamo after the fierce Renaissance preacher. Pier Giorgio contracted polio shortly before he was to receive his degree, and doctors believed this was due to his tending to the sick in the slums. But even on his last night of life, his concern remained for the poor, using his paralyzed hand to scrawl a note asking a friend to take medicine to a poor man Converso. Thousands turned out for his funeral. Many of the poor and needy who he had served for the past seven years came, and it was through their presence that his parents learned of his service. Just as his parents were surprised at the multitude of destitute and needy, those their son had served were surprised to learn that their friend was the heir to the wealthy and famous Frassati family. In 1981, his remains were found to be incorrupt, and his body was transferred from the family tomb to the Cathedral of St. John the Baptist in Turin.